I hate the cold and I hate Winter. I do not ski and therefore I have no use for this poor excuse for a season. The one bright spot of Winter is that it is citrus season (a small consolation, at best). Because I am weird, I especially love grapefruit. In my CSA this week 2 Oro Blanco grapefruits arrived. 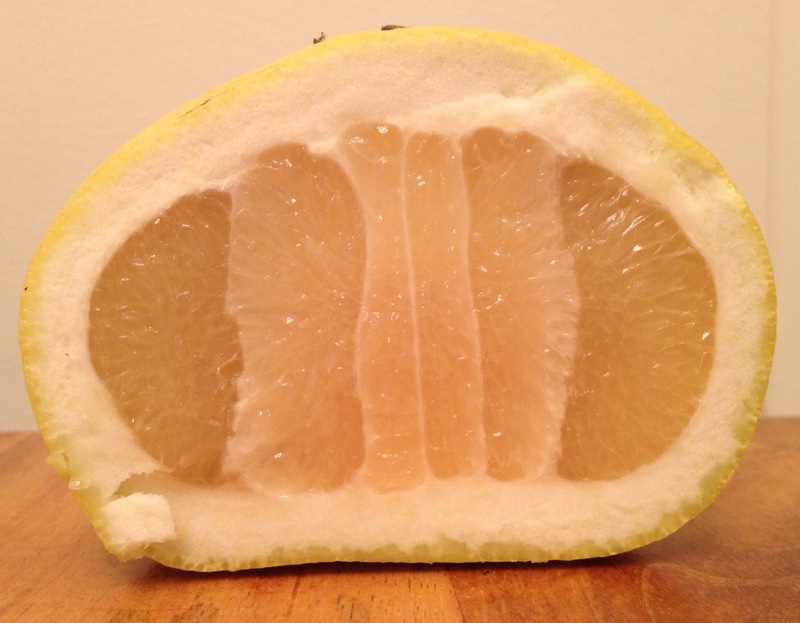 They are some kind of seedless hybrid that may or may not actually be a grapefruit. That said, they are delicious and have a nice sweet-tart balance. Add lots of ice and ingredients to cocktail shaker. Shake. Strain into well chilled coupe or cocktail glass. 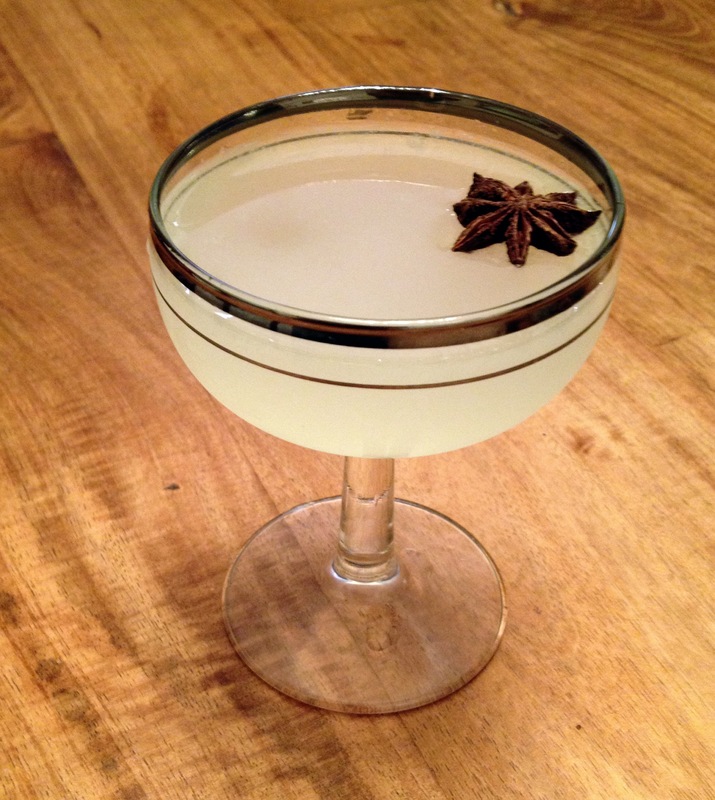 Garnish with star anise (it will float on top with an imposing presence, not unlike the Death Star). Enjoy! The Taste: So. If you don’t like licorice and you don’t like grapefruit, will you like this? Probably not. But if you are kind of on the fence about these flavors, I encourage you to try this. It’s a very pretty and unexpectedly harmonious marriage. Sounds scrumptious! Can’t wait for you to make one for me.